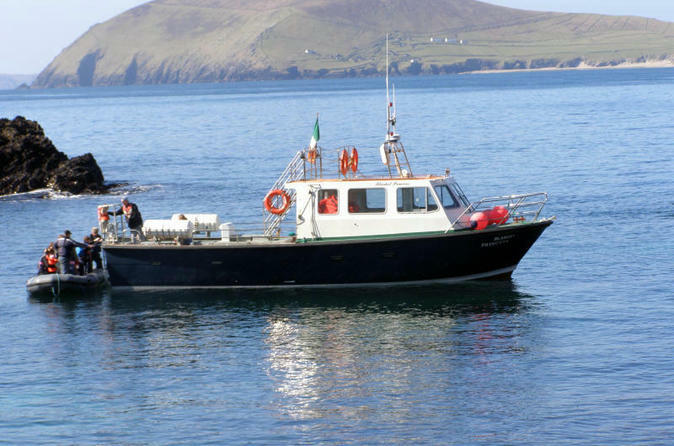 Dingle Bay Eco Tours is a 4 hour boat tour of the Blasket Islands and Dingle Bay with the opportunity to see whales, dolphins , seals, basking shark (in season), puffins and other marine wildlife and view the wonderful seascapes and landscapes off the west coast of Ireland along the Wild Atlantic Way. The tour is informal and casual with experienced skipper and crew and wildlife guide on board. The vessel has a flying bridge for wildlife viewing and marine toilet on board. Trips may be cancelled at short notice if unsuitable weather or sea conditions. 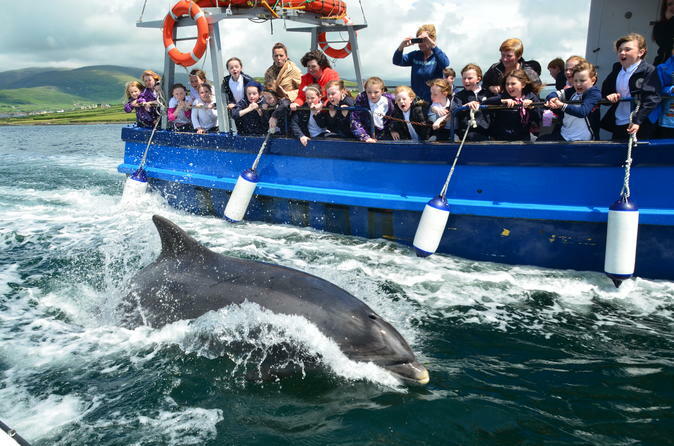 You'll ride aboard one of 6 fully licensed comfortable ferries to scenic Dingle Bay to see Fungie the Famous Dolphin. Sit Back and soak in the magnificent scenery that Dingle Bay has to offer. Fungie is wild and free in this beautiful Bay. He will Delight both young and old with his antics, so don't forget your camera as there are endless photo opportunities. A guide on board will answer all your questions, and you will get a full refund if you do not see a dolphin, our 25-year business guarantee .